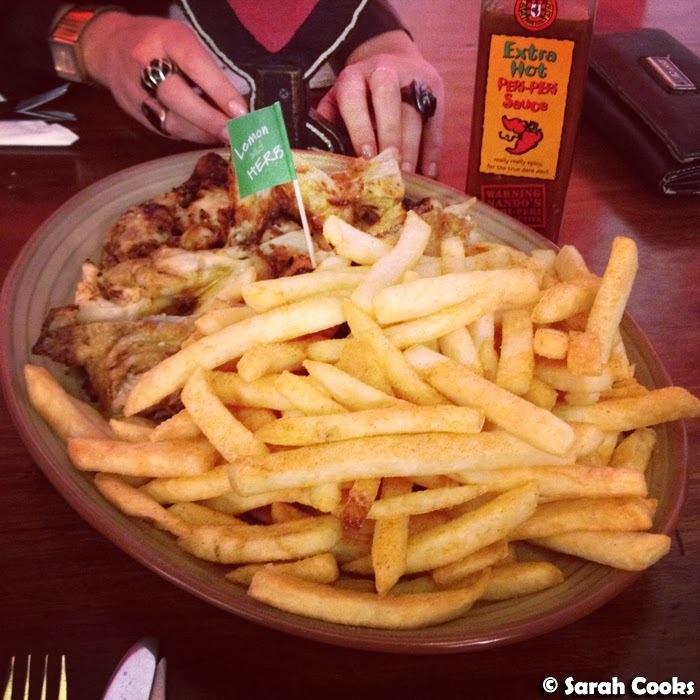 Seems I'm just a little obsessed with Nando's. And yeah, this happened. (N.B. the above platter was shared between three of us!) 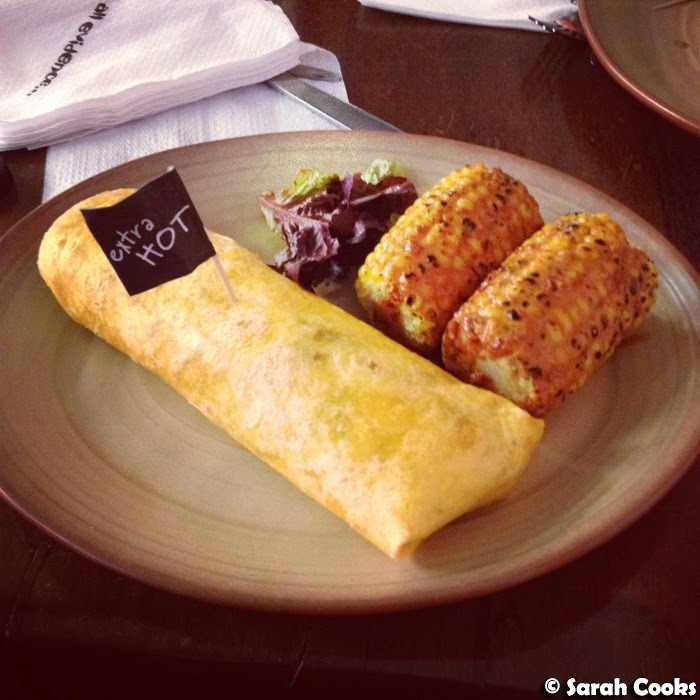 I recently discovered that the chargrilled corn at Nando's is awesome too - especially with extra hot basting. Yum! 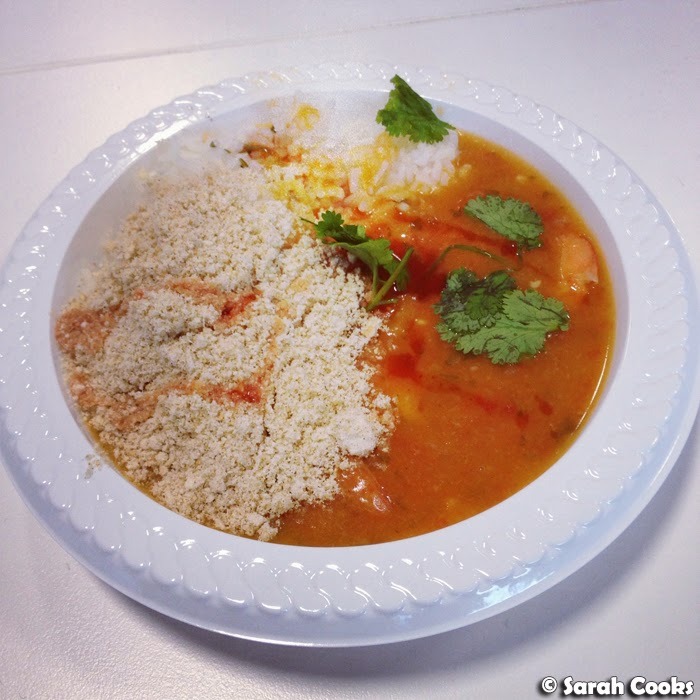 One of my coworkers made a Brazilian prawn stew (AKA bobó de camarão) to share with us. The prawns were cooked in a sauce of manioc (cassava) and coconut milk, and served with rice and farofa. I loved it! 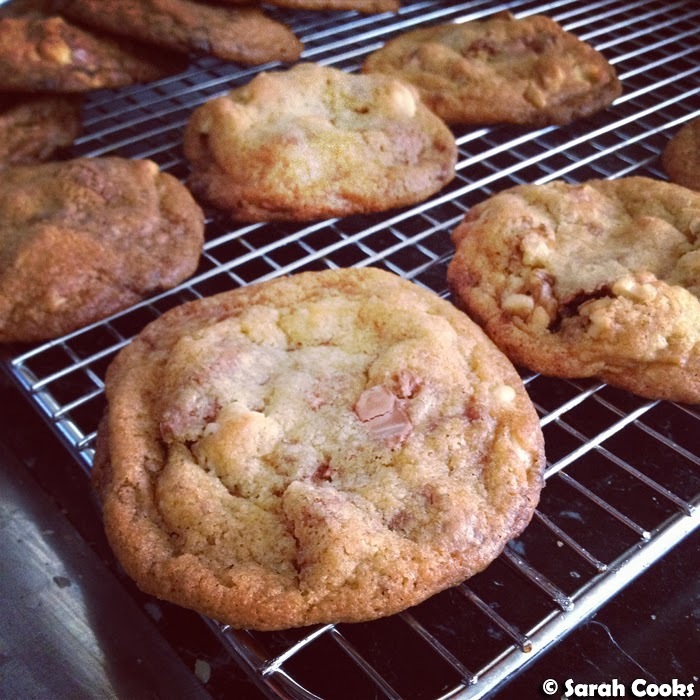 More cookie baking! 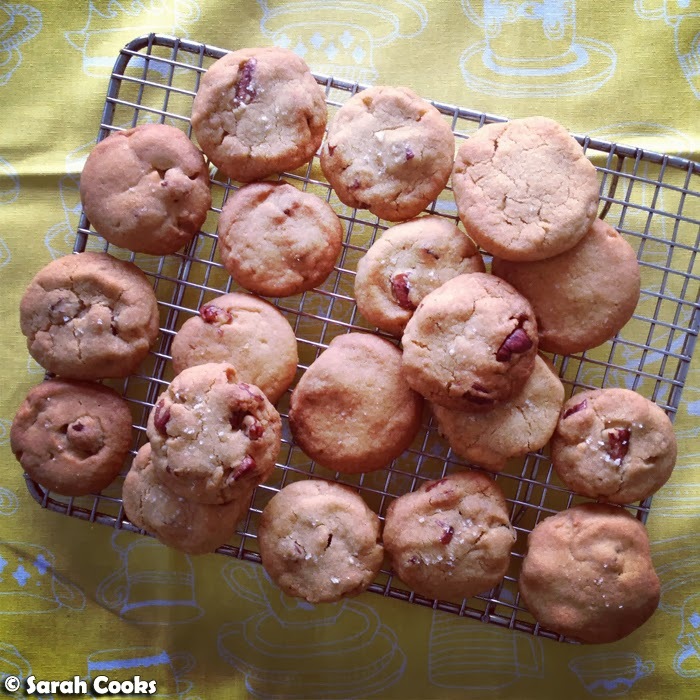 I baked a batch of David Lebovitz' choc chip cookies, and his pecan shortbread (both recipes from Ready for Dessert) to share with friends. 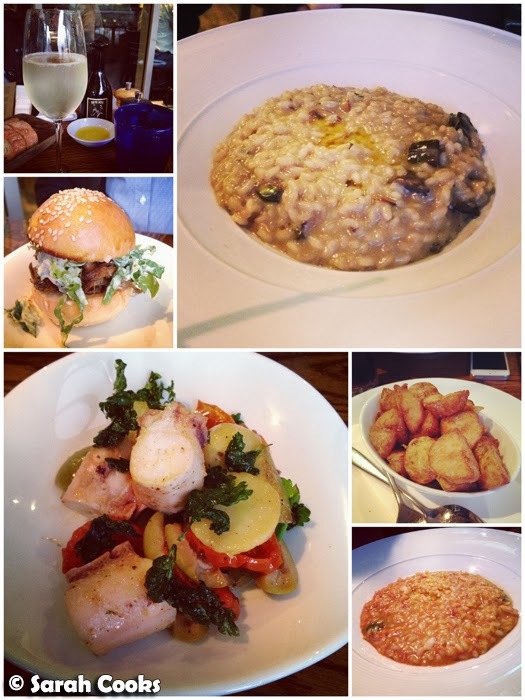 We caught up with a friend for a girls' dinner at Tutto Bene. I hadn't been there in ages, and am happy to report they still serve up excellent risotto. They have a dedicated gluten free menu and are very good at working around dietary requirements. Yay! (The friend we ate with is a coeliac so eating out can be a bit tricky for her). 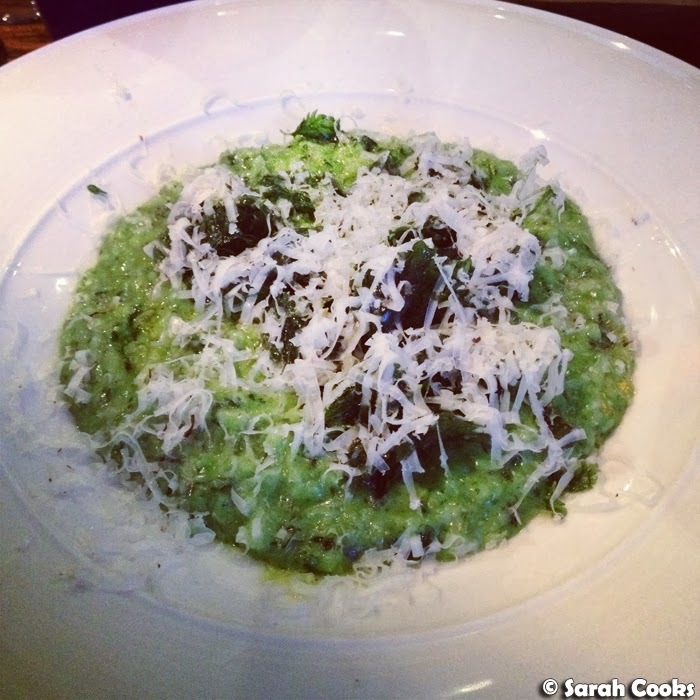 A new-ish addition to the menu was the stinging nettle risotto, which I ordered. It was amazing! Vibrantly green, with a gentle hint of truffle. I'd highly recommend ordering this one. Quick coffee stop at Wee Jeanie. 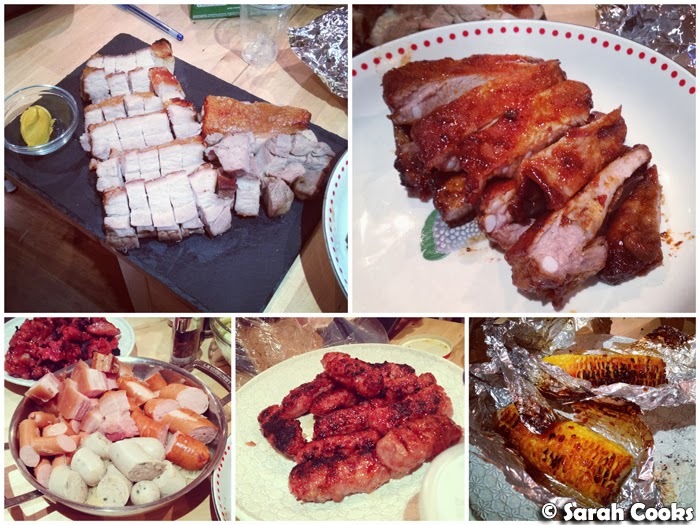 The lovely Daisy from Never Too Sweet for Me hosted a potluck at her place, and when we realised we were all bringing pork dishes, we changed the name to PORKLUCK! Hahaha. Check it out - from top left: Ricky's roast pork belly and pork ribs, Daisy's grilled corn, Adrian's longanisa and tocino, and our Sauerkraut Topf - smoked pork belly and three types of sausage (Weisswurst, Knackwurst, Frankfurters) on sauerkraut. Woah! 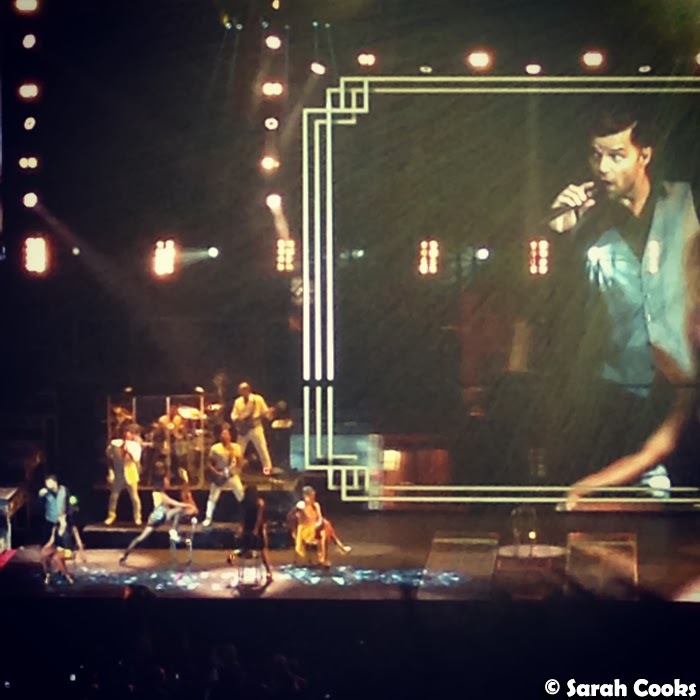 Not food related, but worth mentioning - we went to see Ricky Martin live in concert! Yup, he's still got it. 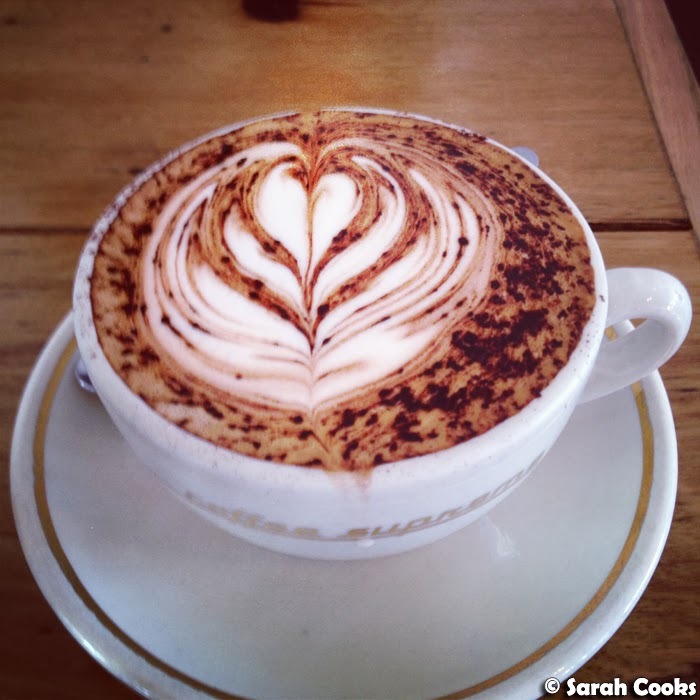 I finally got to check out Patricia Coffee Brewers - a little caffeinated oasis in a dull part of town. I love the cosy standing-room-only space, the delicious coffee and the fact that they give you free sparkling water if you drink in. 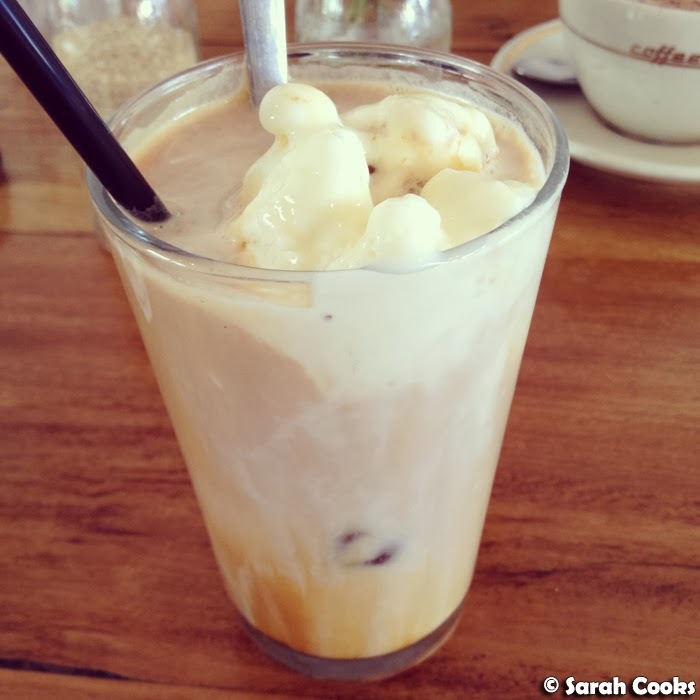 And in total contrast to Patricia Coffee Brewers, you know what else I really love? Plain old filtered coffee! 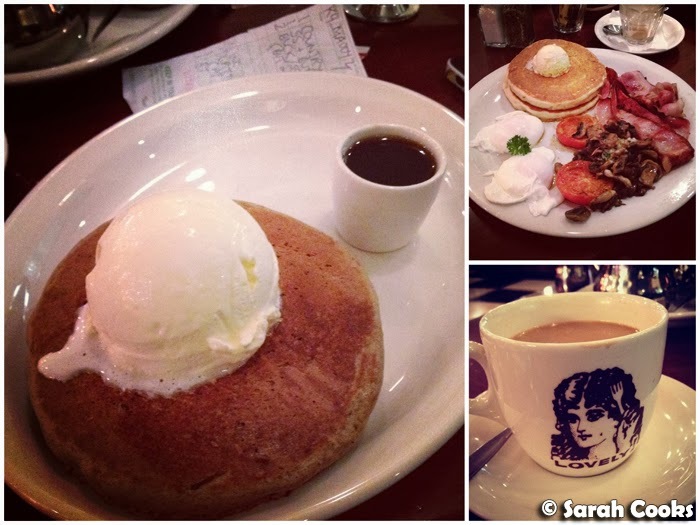 I downed a heck of a lot of filtered coffee when I had breakfast at Pancake Parlour one morning. 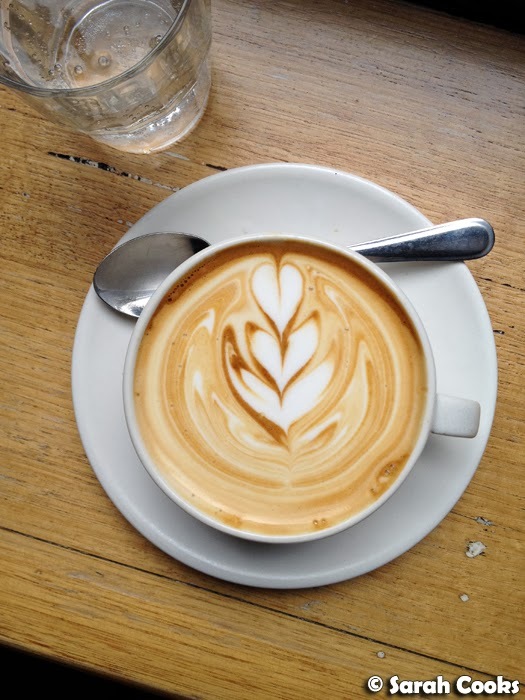 (Bottomless unfiltered coffee!) The buckwheat pancakes with maple syrup and whipped cream also made me feel a little Leslie Knope. 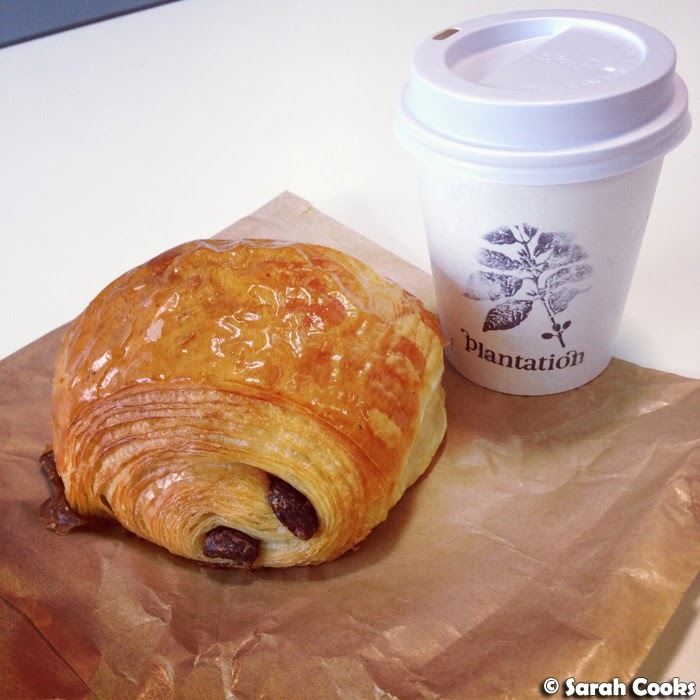 Oops - and here's another cheeky breakfast I had out - a chocolate croissant from Plantation Coffee. They didn't use to sell them, but I asked them about it one day and they kindly started getting them in. Yay! Those guys rock! (They had plain croissants, ham and cheese croissants and escargots, but none of those really do it for me). And finally... cupcakes! 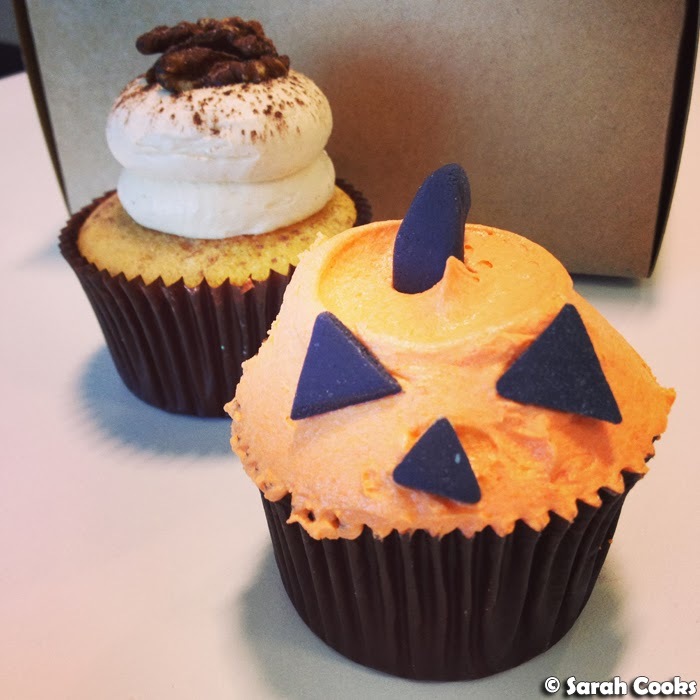 I never celebrate halloween, but I couldn't resist these pumpkin cupcakes at Cupcake Central. The one at the back is a normal coffee walnut (a bit too sweet for me, would have preferred a stronger coffee taste), and the front one is a pumpkin cupcake with pumpkin puree in the batter and in the buttercream. Mmm... moist. This Unblogged Files feels a bit shorter than normal, but that is because I have a few things up my sleeve that I am determined to blog about properly! There were a couple of dinner parties, some restaurant meals and a few events that I'm planning to blog about in detail - so stay tuned. I still haven't been to Tutto Bene, need to stop by sometime. I was going to ask you if you ate that whole platter by yourself! I love that nineties artists are coming back - I went to BSB last year and it was awesome!